Clear the loft of stored items while sorting for valuables in preparation for a conversion. This home was a well looked after, medium sized townhouse with a spacious loft attached to the first floor. The home owners, two expectant parents were hoping to convert their Lichfield loft into an office followed by a play area. The young family was hoping to clear the loft of older insulation and rubbish. Their long term goal was to create an area which was both comfortable for working, and safe for children. Lofts or attics are typically difficult to clear as we are often moving large amounts of material through a small entrance, down a ladder, and then out of the home. Furthermore, lofts are an environment in which it is often difficult to stand up straight. And although, taller than some, this loft proved to be no exception. Further complicating the loft clearance in Lichfield was the scores of rapidly decaying cardboard boxes; filled with a century of rubbish, dust, and occasional hidden treasures. It was clear that this loft was going to turn up some interesting finds, and remedy a potential fire hazard. Not being ones to shy away from a challenge, our team arrived bright and early! Using robust plastic tubs, we addressed the boxes. Starting from the entrance, we moved inwards going back in time as we cleared. Each box was moved while taking great care not to make a mess of the tenant’s stairs. The first few boxes and items were those familiar to the present tenants. Next some old suitcases, camping gear, and clothing; which we helpfully moved into a down stairs storage closet. As we moved deeper we began to move back in time, first boxes of CDs, followed by cassettes. Several garbage bags full of musty denim and plaid clothing were also discovered: perfect breading grounds for mice. Eventually we arrived at the 1970s; the period in which the house was last renovated. Here we found intact wine crates filled with well kept (if a bit dusty) vinyl records. Next came the heavy lifting. Once the loft was clear of boxes we began to clear the heavier items from the loft including an old chest filled with blankets. Most interestingly, we discovered a Victorian era foot operated sewing machine; a collectible item! Once we had removed the majority of items from the loft, we began to remove the old insulation, much of which had become moldy. Upon removal, we discovered electrical wiring which needed replacing lest if cause a fire. After the loft clearance, we advised the tenants the best location to install a skylight and gave them an accurate price assessment. We completed the attic clearance within one working day! The clients were very pleased with our performance, and quick clearance; citing our polite crew and efficient manner. They were so happy we found the vinyl records they played them as we cleared the loft. Classic prog rock. Rock on! 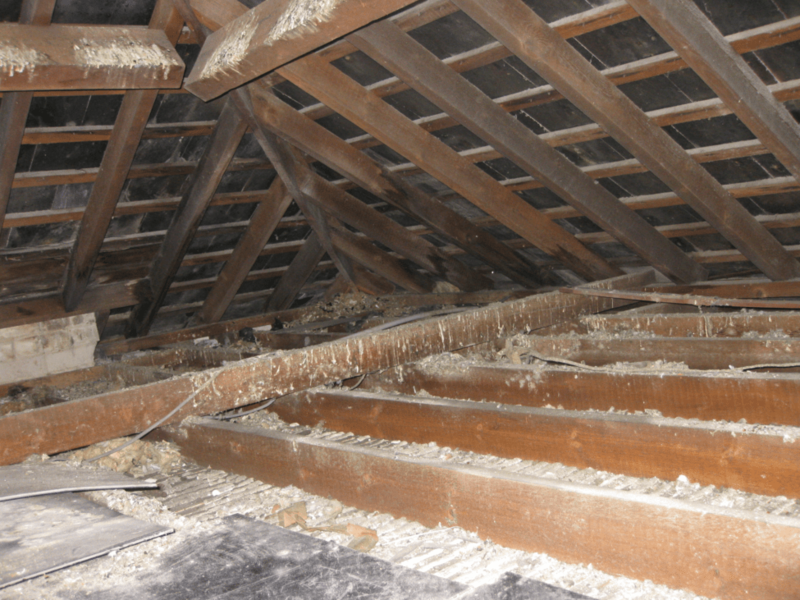 Do you require a Lichfield loft clearance? We are available 9am to 8pm Monday to Sunday and have years of experience with Lichfield house clearances. Please don’t hesitate to get in touch, we’re a sympathetic professional service running for over 30 years with experience in a multitude of housing types.